On the NorthCoast500 route (A896). Stunning views from room overlooking Shieldaig Island. Comfy Super-king bed. 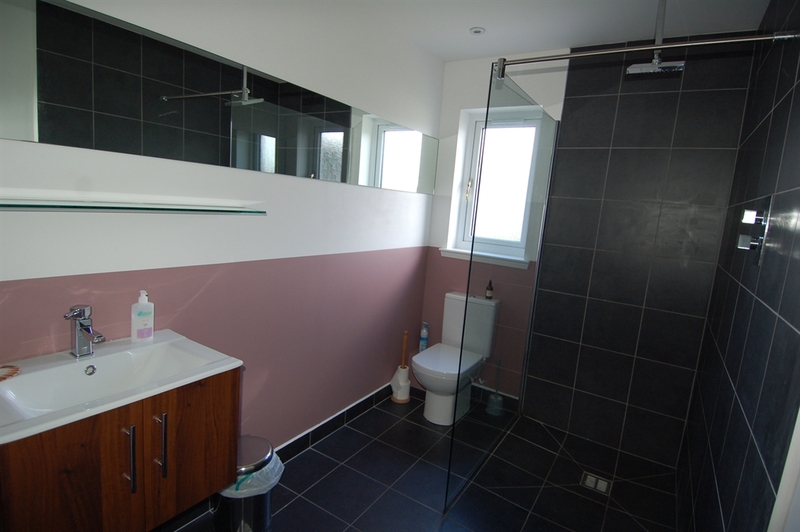 Sparkling clean en-suite. WiFi. TV in room. ‘Help-yourself’ British Breakfast, much home-made. Eco-friendly. Off-road parking. 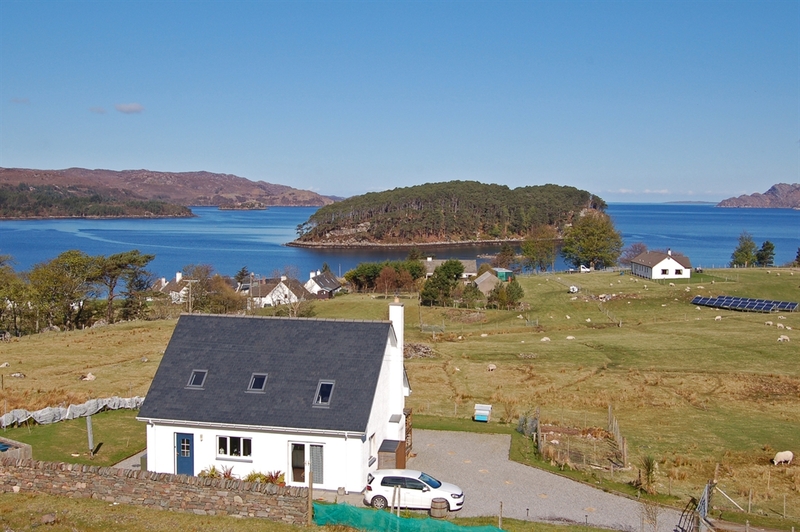 The Croft House BnB is right on the North Coast500 route (A896) in Shieldaig, close to Torridon and Applecross in the North West Highlands of Scotland, an area also known as Wester Ross. The fun of a home-stay is the variety, B&B's are as varied as their owners! Please do make sure what is on offer meets your requirements. A sprightly 20-year-old cat also lives here. 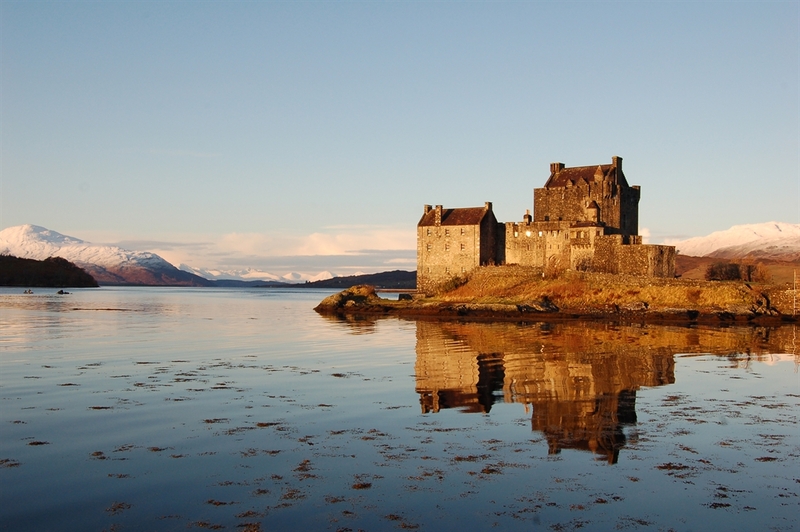 Shieldaig is a picturesque fishing village, on a sea loch, with stunning and dramatic Mountain / Sea views. 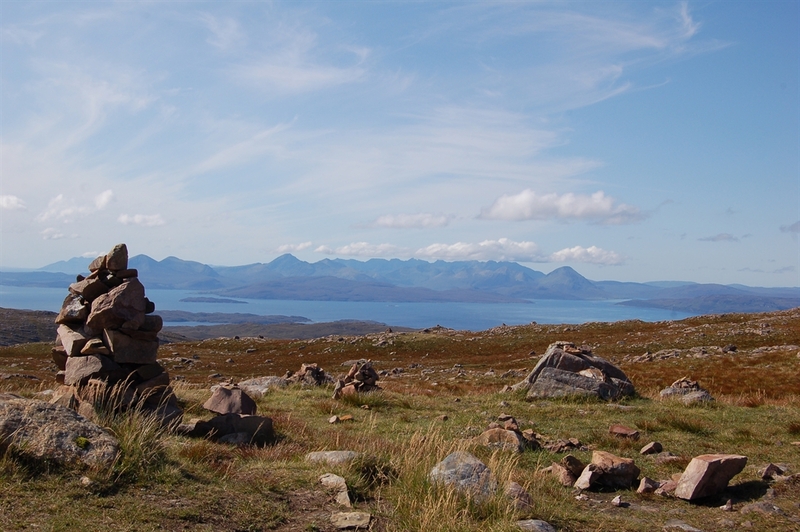 For many this is the 'real' Highlands, accessible only on single-track roads. Time takes on a different meaning here and the weather can dictate what happens when, but that's part of the charm. The Croft House is a warm, modern house in a stunning location with panoramic views. 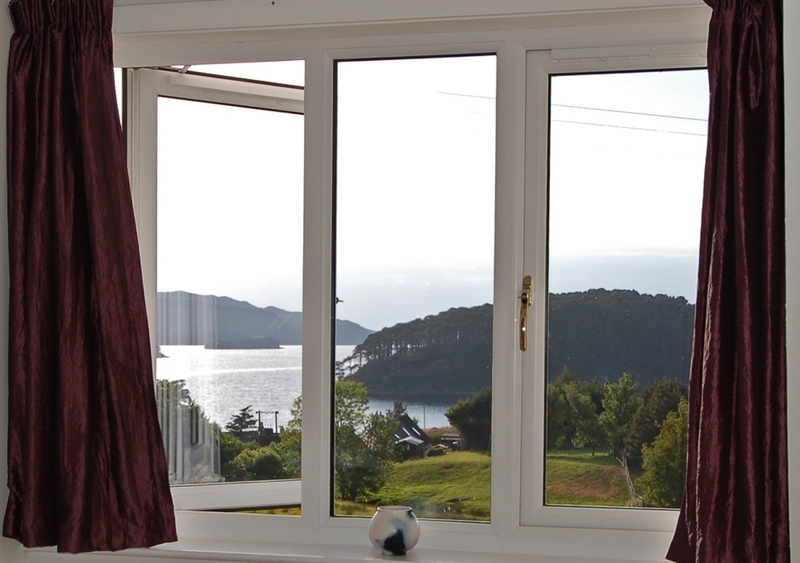 A 'Highland' view over the crofts, of Shieldaig Island and out to sea from your room. 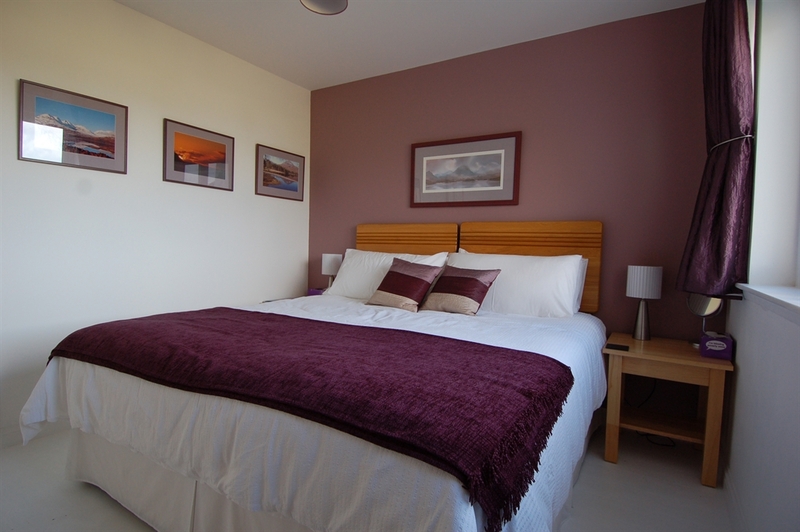 Sparkling clean en-suite, really comfortable superking sized double bed with hypo-allergenic bedding. Free Wi-Fi, Hospitality tray and Freeview TV in room. Eco-friendly - green cleaning methods, organic, local and/or ethical food, waste minimised. Orange juice, 4 cereals - muesli, cornflakes, puffed rice or wheatabix, home made yoghurt, seed mix & dried fruit toppings, fresh fruit, home made organic bread, home-made jams (some home-grown), tea or coffee. Pub and cafe in walking distance, plus other great food options in the area. Off road parking. Own key and entrance. Red deer, otters, seals, red squirrels, pine marten, sea-eagles and dolphins are all regularly seen in Shieldaig along with a myriad of other flora & fauna. Great walks in and around the area with a number of outdoor activities/providers. Just ask for tips on great walks to suit all abilities and the best spots for wildlife watching.